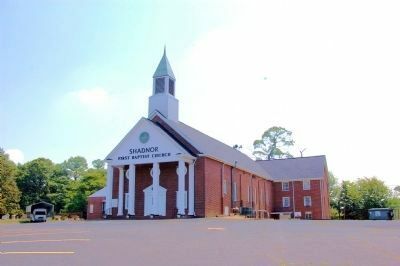 We would love to invite you to come and worship with us on Sundays at 11:00 AM and also on Wednesdays at 4:00 PM. Sunday School for all ages begins at 9:45 AM. Our church family is made up of a wonderful body of believers who love the Lord Jesus Christ and that truly loves one another. We are known as the friendliest church in town simply because our lives have been so impacted by the love of Christ. 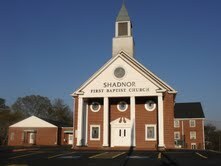 Shadnor First Baptist Church was established here in Union City in 1840! Someone once asked how would you describe our church? Two words – Love and Grace! Jesus said, “This is how they will know you are my disciples, that you love one another.” This is the most loving church family that we have ever been around. And then, grace! The preaching, the teaching, the singing, the fellowship, the discipleship, and everything that we do is centered around the unconditional love, the compassion, the mercy and grace of our Lord Jesus Christ. The joy and peace that comes from a relationship with Christ provides us all with such an abundant life and we want to share all of this with you. This entry was posted in Uncategorized by wenbur2. Bookmark the permalink.